Due to the unstable situation in the country, many citizens are at risk. They lose jobs, get laid off, left without a livelihood. In the end, the physical person is obliged to apply to the employment center. What is the job of the center of Employment of the Population? In every region of the country there are Employment Centers – these organizations represent the regional offices of the employment service, which provides a number of services related to employment and registration of the population for workplaces, the appropriate level of education and field of activity of individuals. 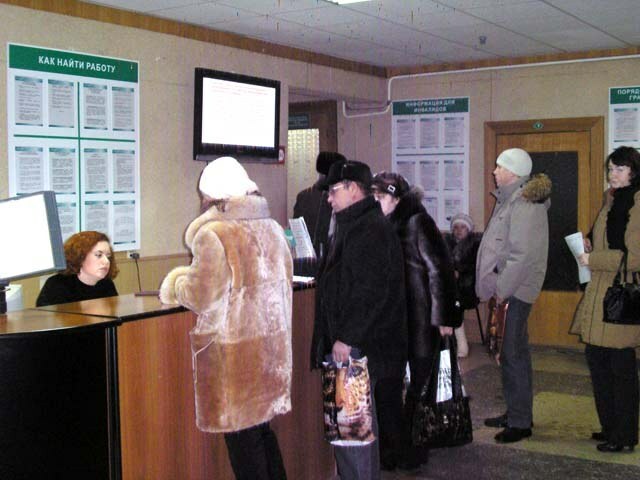 To apply for employment assistance in the employment center can as people who have Russian citizenship, and those who are not citizens of the country and having no citizenship at all. So, sitting in the offices of specialists who are engaged in direct work with the population. Employees tszn gives everyone, services in the field of employment. - payment of unemployment benefits. The main task of the specialists of the employment service is a direct offer of vacancies registered in the database, that is, each provide applicants the list of jobs, focused on him. To get a decent paying job through the Employment Center is not likely. Specialists only have access to a database of vacancies in the region, according to the criteria selected applicants, the search engine gives options for suitable vacancies. The list is transmitted to the hands, followed by cold call and appointment interviews. In fact, the database gets updated rarely, besides, no one is protected from fraudulent employers. 100 vacancies 50 will be "fake", the 30 – proposals on network marketing, 15 – forgot to remove, and the remaining 5 after careful consideration will be paid. As a result, the citizen will simply spend their time collecting the necessary documentation and registration. The only thing than can help CZN is to get more education or learn a profession.